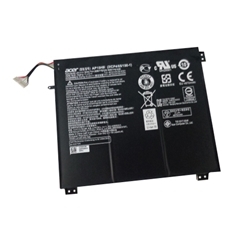 Description: New genuine Acer laptop replacement battery. The specifications for this battery are 4810mAh, 54.8Wh, 11.4V, 3 Cell. This is a high quality original battery. Compatible Part #'s: KT.0030G.014, AP15H8i, KT.0030G.008, 3ICP4/65/150-1.